Larry Watkin won the National Book Award in 1937 for his novel On Borrowed Time, about Death imprisoned in an apple tree. From there, after an adventurous stint in the US Navy, he joined the Disney studio, working alongside Walt Disney himself on live-action classics. 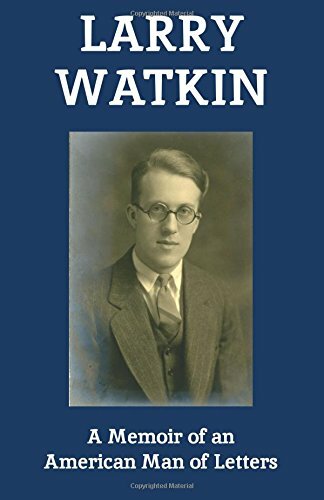 Watkin's vivid, introspective account of his life, from joyous boyhood on a rural New York farm to an uneasy retirement riddled with loss and despair, teems with characters both savory and unsavory, and with exploits in locales ranging from the war-torn islands of the South Pacific to the center of cinematic power in Hollywood. As the screenwriter of such enduring Disney live-action films as Treasure Island, Robin Hood, and Darby O'Gill and the Little People, Watkin has tales a-plenty, never told before, of Walt Disney, in addition to his encounters with fickle movie producers, drunken actors, fellow writers, and death itself. Written with candor and grace, Watkin's memoir is erudite but energetic, cerebral but salty —a literary encapsulation of the 20th century from the pen of an unjustly forgotten man of letters.